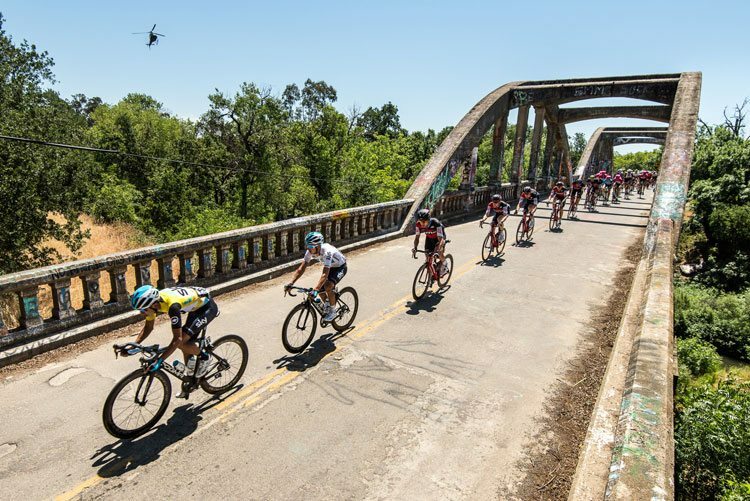 Egan Bernal, Team Sky’s 21-year-old Colombian rider, defended his lead from yesterday to claim the 2018 Amgen Tour of California championship by the second largest margin in race history, +1.25” ahead of BMC Racing Team’s U.S. rider Tejay van Garderen. Team EF Education First-Drapac p/b Cannondale’s Daniel Martinez (COL) rounds out third place overall. 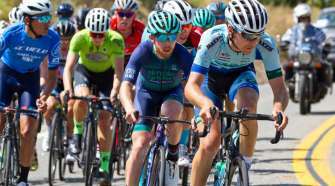 The Amgen Race Leader Jersey traded between the two leaders after van Garderen’s blazing time trial Wednesday put him ahead of the Team Sky rider for two days. Bernal, who initially claimed the race lead on Monday’s Gibraltar Road summit stage, took back enough time on yesterday’s climbing stage to win back the coveted yellow jersey and a comfortable lead of +1.25”, leading to his first overall WorldTour race win today. Van Garderen himself still holds the race record for the largest winning margin of all time with his 2013 overall win +1.47” ahead of Michael Rogers. Presented by Breakaway from Heart DiseaseTM, the men’s Stage 7 race conclusion was a 90.7-mile trek that began and ended in downtown Sacramento with three circuits that the peloton’s world-renowned sprinters were hungry for after being shut out all week by Quick-Step Floors’ Fernando Gaviria (COL). 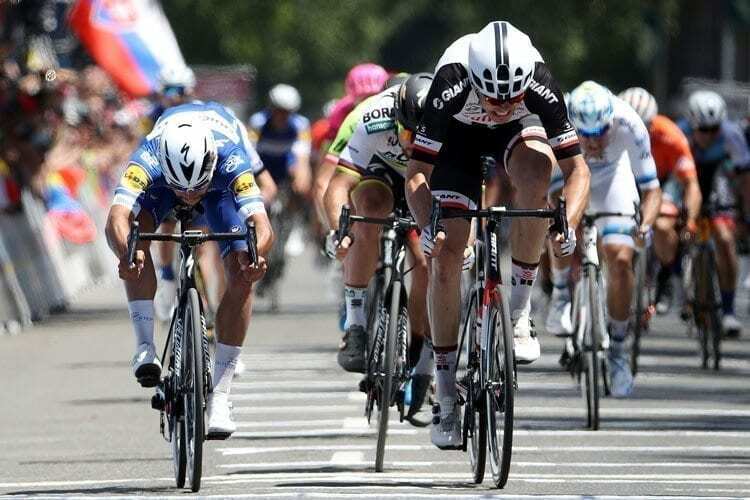 In the final stretch, Gaviria’s bike throw over the line seized the photo-finish win over Team Sunweb’s Maximilian Walscheid (GER), followed by Mitchelton-SCOTT’s Caleb Ewan (AUS). 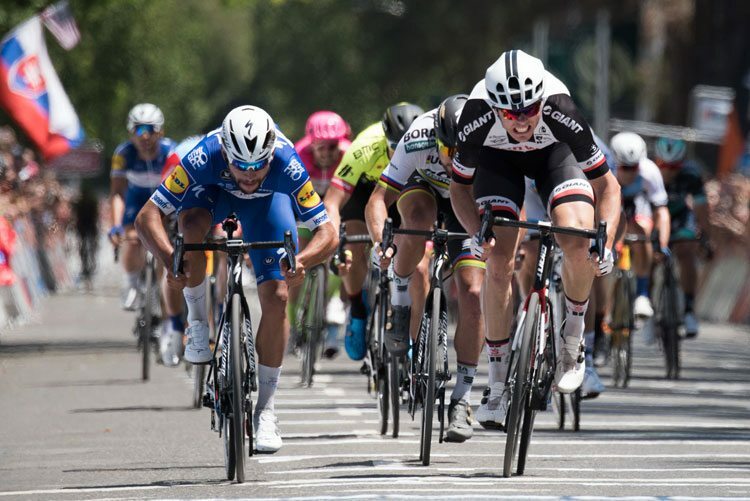 Gaviria held off lauded sprinters who have won this stage in past editions including Team Dimension Data’s Mark Cavendish (GBR) and Team KATUSHA ALPECIN’s Marcel Kittel (GER), bringing his total stage wins this week to three – a clean sweep of the expected sprint finish stages – and clinching the prestigious Visit California Sprint Jersey competition. Today’s breakaway began early again and lasted until midway through the finishing circuits, containing Team LottoNL-Jumbo’s hometown rider Neilson Powless (Roseville, Calif.), Rally Cycling’s Adam de Vos (CAN), United Healthcare Pro Cycling’s Jonathan Clarke (AUS), and Hagens Berman Axeon Cycling Team’s U23 World Champ Mikkel Bjerg (DEN), who was awarded the Breakaway from Cancer® Most Courageous Rider Jersey. After placing second in last year’s race by just one second, UnitedHealthcare Pro Cycling’s Katie Hall (Oakland, Calif.) came away the decisive 2018 champion when Stage 3 and the race concluded today in Sacramento. Trek-Drops’ Tayler Wiles (Fairfax, Calif.) claimed second place overall with CANYON//SRAM Racing’s Kasia Niewiadoma (POL) in third. Stage 3 presented by Breakaway from Heart DiseaseTM was set up for sprinters, featuring 20 fast-paced laps of the 2.2-mile Capitol circuit in downtown Sacramento. Astana Women’s Team’s Arlenis Sierra (CUB), who placed third overall last year as well as taking home the Sprint and Best Young Rider titles, pulled ahead of the tightly packed peloton near the finish to win the stage. She was followed over the line by CANYON//SRAM Racing’s Alexis Ryan (USA) then Rally Cycling’s Emma White (Duanesburg, New York), who was on the podium in second place for Stage 1, as was Ryan’s sister Kendall (first place for Stage 1). 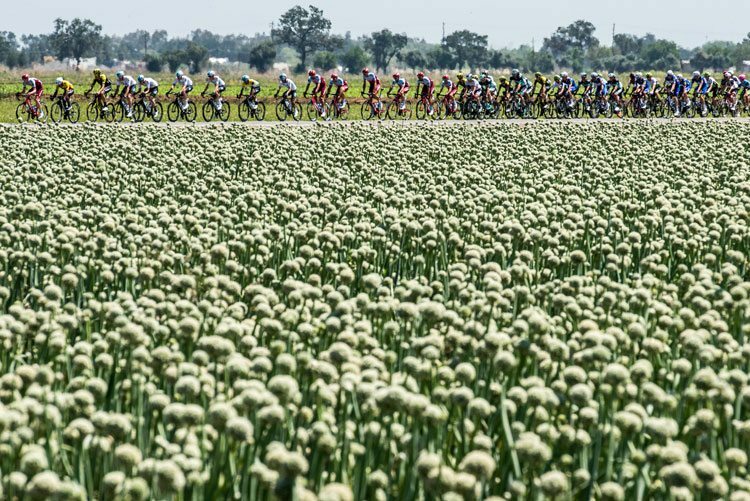 Team Sunweb’s Southern California rider Coryn Rivera escaped the box of riders around her to attack on the final meters but fell short of overtaking Sierra, and finished the stage in fourth place. Hall also locked up the Lexus Queen of the Mountain Jersey, with the Visit California Sprint Jersey going to Rally Cycling’s Emma White. 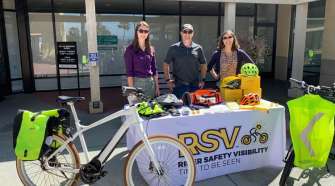 The 2018 edition of America’s premier cycling stage race covered 645 miles of roadways, highways and coastlines during seven stages from Long Beach to Sacramento May 13-19, while the Amgen Tour of California Women’s Race empowered with SRAM, showcasing the world’s best women cyclists, ran concurrently May 17-19, covering upward of 187 miles over three stages. 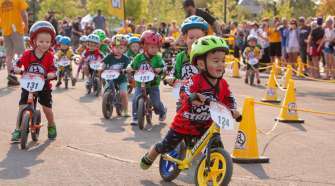 The annual professional cycling events are the only U.S. races on the UCI WorldTour calendar <http://www.uci.ch/road/calendar/> and continue to attract some of the most renowned cyclists and teams in the world. Following a successful week of honoring and celebrating cancer and heart disease survivors as the race traveled through the state, a Breakaway from Cancer® Pep Rally Celebration and CycleNation Community Event walk took place in Sacramento today. Prakashni Shandil, a Sacramento cancer survivor, was honored at the Pep Rally and was joined by about 150 community members to honor the millions of cancer survivors worldwide. And “Fast Freddie” Rodriguez, professional cyclist and health advocate, pedaled with over 50 community participants on the capital green for the CycleNation spin class to empower everyone to choose cycling for good heart health.